There’s this story burning inside of you. It’s a blistering kind of heat that you just can’t escape. However, you still haven’t completed your book. You’re somewhere between start and stuck. It’s time to move forward and get this book done quickly. Use the 5 Tips I’m about to share with you so that you can go from start to finish. Because it’s time. 1. Sit your behind down and write. Stop thinking about writing. Stop talking about writing.Stop romanticizing writing, sit yourself in a chair and get to typing or writing. 2. 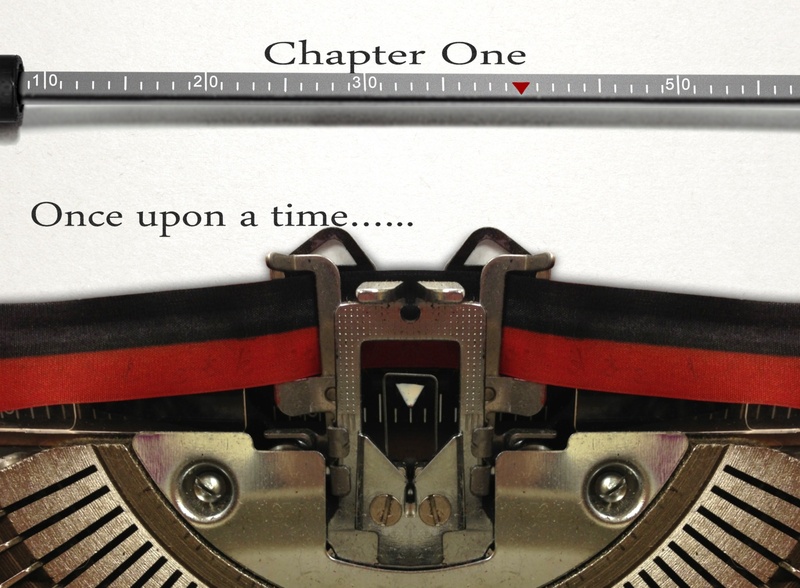 Establish a concrete timeline for the publication of your book. The first thing I ask any of Publishing Pow-Wow clients is, “When would you like to see your book in the hands of the reader?” Defining this helps set all other goals. This timeline will become the basis and foundation for you to get things done quickly. When do you want to see your book on shelves–six months from now two months from now two years from now? This will inform your word count goal and the development of your marketing plan (yes, you have to market the book). Some say you have to write everyday and there are others who say it’s okay to take break between the words. This timeline will tell you whether or not you can afford to take a break. Character Driven: inciting incident +goal+flaw+confrontation or obstacle+character ignores flaw and keeps on going+confrontation or obstacle character admits flaw but doesn’t changes=death or change (the flaw begins to have a tremendous impact on character) it’s time for change or go down with sinking ship. 4. Use your technology to get it done. I get it you’re all over the place. You have kids. You have a full-time job or demanding career, so there’s very little time for playing with words, which is why you need to steal time and allow technology to work for you. If you don’t have time to sit down and write yet you see whole scenes in your head dictate it. If you’re on the go a lot like me. Use the notes function, pages, or Evernote to type your story. I typed more than half of my second novel, Seasoned with Grace on my phone and I typed the draft of this blog post on my phone. 5. Deal with all of your contaminating thoughts. When a river is polluted or contaminated nothing can grow there or live their. New life can’t be created (and all you science buff, who are thinking about mutations and all that jazz, don’t come for me save it for your book and let me just use this analogy). Your mind is the river and your book is the life form that is dying because of how polluted your thoughts are. This step is the most important, but had I started with this tip you wouldn’t believe me, because it’s not one of the things we really discuss when we discuss writing. Get out of your head and your feelings. Don’t let the fear of rejection block you or stop you. Rejection is going to come, “rejection is apart of the process”. Do not allow your credentials or lack thereof stop you either. For all the writing classes I’ve taken I have never taken a fiction writing class. That didn’t stop me from writing a novel and it better not stop you. Get busy and if you need more help getting out of your head checkout the replay of the Working Writers Series Day 1. If you’re interested in joining me for full on Working Writers’ Workshops please let me know in the comments. Do you have any tips to help us get our books finished in a jiffy? Drop them in the comments and fuel someone else’s greatness. #WriterWednesday: What’s Your Writing Super Power? I really hadn’t considered that whether or not what Publisher’s Weekly said about me was true. I was just to glad that the Lord had moved on my behalf and caused them to review my book. I thought about it for a moment and I decided I didn’t agree with Publisher’s Weekly (relax, I’m not crazy). I never considered dialogue my strong suit, although I run my mouth more than enough, so I ought be good at writing dialogue. sharp and hard voice that reflected my city life. I didn’t know it until I was working on my Masters in Creative Writing. Every week my peers (mostly white) would praise me for my how well versed I was with the vernacular. For awhile it stung. I didn’t want my poems to be praised for the vernacular I wanted people to praise my poetry for its beauty. I attempted to write a beautiful poem one week for our workshop and they praised me, but they noted that this poem was different from all my other work. I confessed my feelings to them and nearly broke down crying–for once in my life I didn’t want to be this black writer with a voice that echoed the concrete. I wanted daises to be birthed on the wings of my words. I wanted to prove to them and to me that I could write like them. Once class was over and I had successfully won them over I went back to writing lyrics about the feel of asphalt under my feet. I found it took too much thought to write like someone else. It was too difficult to fill my mouth with the words of other and make them pretty. I reclaimed my voice and went back creating pieces that reflected the beauty and ugly I found in the world using my own tongue. For me that is my Writing Super Power that’s another way I am able to be a trailblazer. 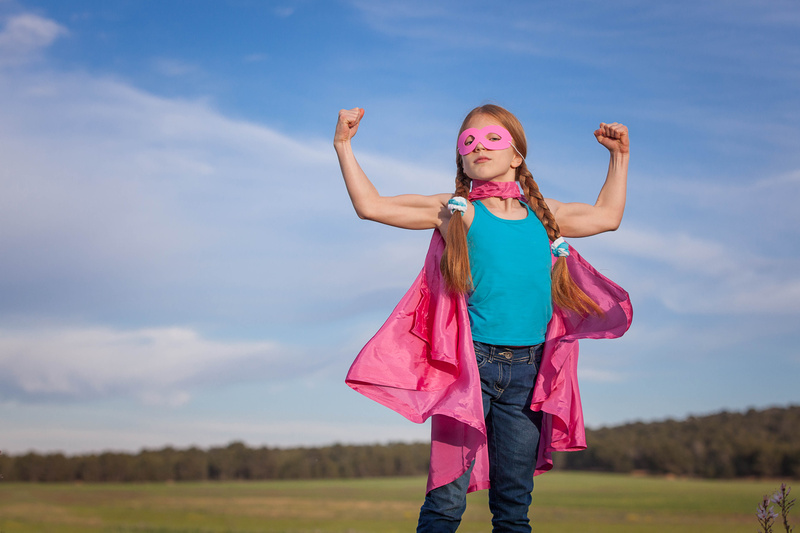 What’s your writing super power? What’s your strength? What sets your writing apart from everyone else in your genre? If an answer doesn’t come write away maybe read a chapter or two of your most recent work and a chapter or two of someone else in your genre and look for the nuances–are you a master of setting a scene? create strong characters? write good bad guys? teach lessons subtly? Often our focus is on improving our weakness, but what would happened if we embraced and nurtured our strengths? Don’t forget to post your strengths in the comments section. I might need your help. 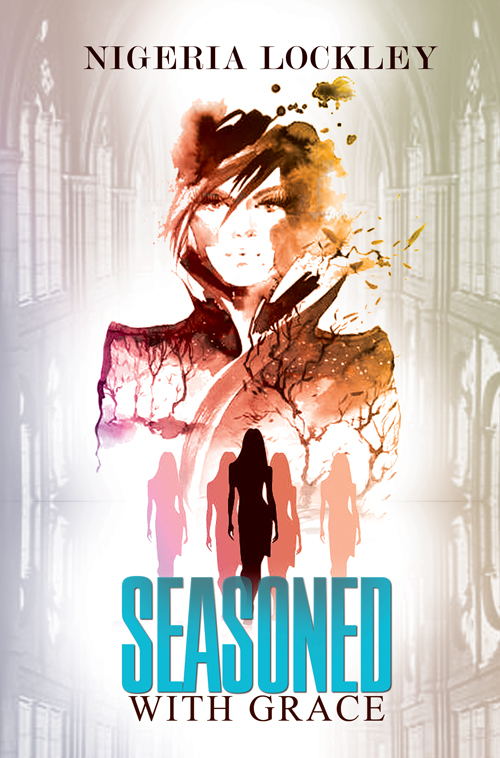 Don’t forget to order a copy of Seasoned with Grace or to tell a friend or two about it. It’s coming out this summer, July 28th. Pre-order on Amazon, Barnes and Noble, or Books-a-million. Stay tuned for details on the Seasoned with Grace Launch Party and Style Session as well as the virtual party. As a neophyte author or aspiring author time to write doesn’t exist. In our materialistic society there very often isn’t time built into our schedules for things that don’t bring income into the home. Now add to that the fact that we live in an microwave society where everything has to happen within seconds–it makes it almost impossible for a new writer with bills to find time to write if the words aren’t bringing in the cashflow immediately. Here’s what you have to do–the same way that you have created a whole world of people with a series of issues that you need to tend to you must create your time to write. There are some writers who will tell you that you must write everyday in order to call yourself a writer. This next statement is going to be very controversial. I don’t write everyday and I call myself an author (don’t look at your computer screen like that). It’s true I don’t write everyday. I’ve written everyday this week, but I don’t write everyday. 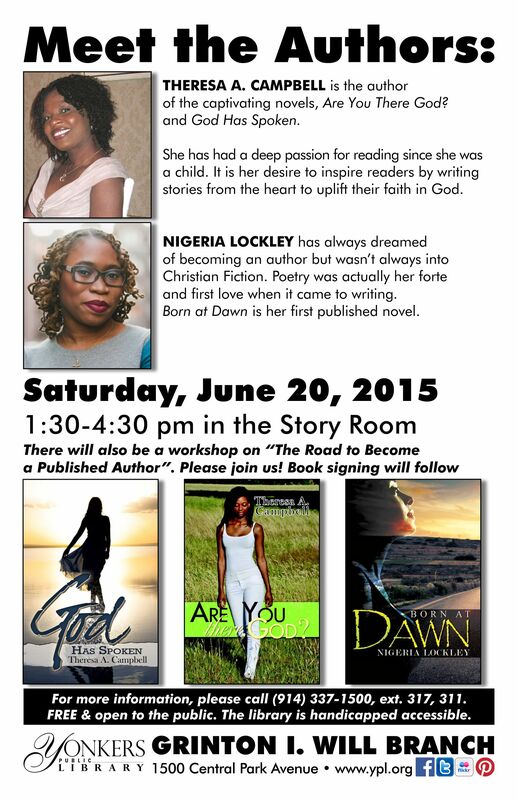 restate that–while my first two novels were traditionally published God and I have been my publicity team. With a full-time job as an educator in the classroom, a husband, two kids (who live with me unlike those girls on reality t.v. that get to leave their kids with their mamas while they pursue their dreams) writing everyday is really difficult. Nix lunch. Skip your lunch break at work. Brown bag it and bust out the laptop. That’s an hour of writing there. Classic Early Bird/Night Owl–Either you rise before dawn and everyone in your house lets out their first yawn or you stay up while everyone in your household enters the early stages of REM sleep. I used to feel guilty about not doing what everyone else was doing, but with my second novel Seasoned with Grace scheduled to be released, July 28, 2015 and a novella, Tempted to Touch coming soon with Inheritance Books. The guilt has been assuaged because I do not write everyday that doesn’t make me any less of a writer than anyone else. There are teachers that I work with who teach night classes and Saturday school. I haven’t stopped calling myself an educator because I don’t teach eight hours a day six days a week. It would be foolish for me and any other new other to discredit themselves because they haven’t found their footing yet. I’m going to continue creating time to write when I am able to and recommend you do the same. How do you currently create time to write? Which one of the suggestions above might help you create more time to write and advance your goals. For more information about making time to write and publishing if you’re in the New York City are please join myself and author, Theresa A. Campbell at the Yonkers Public library for a workshop on the path to publication–where we share our experiences and tips and tricks to help you get past the dream stage and into the area of manifestation. You are gifted. You are a creative force to be reckoned with, but something is killing you and stunting your progress. Do you know what’s killing you? You are killing you by comparing yourself, your success or your seeming lack thereof to other author’s successes. Stop committing writer suicide–comparison kills. 1. Become a trailblazer–while it’s important to know what’s out there, what’s going on, and what’s trending you don’t become a staple by following the trends. Trailblazers are monumental. 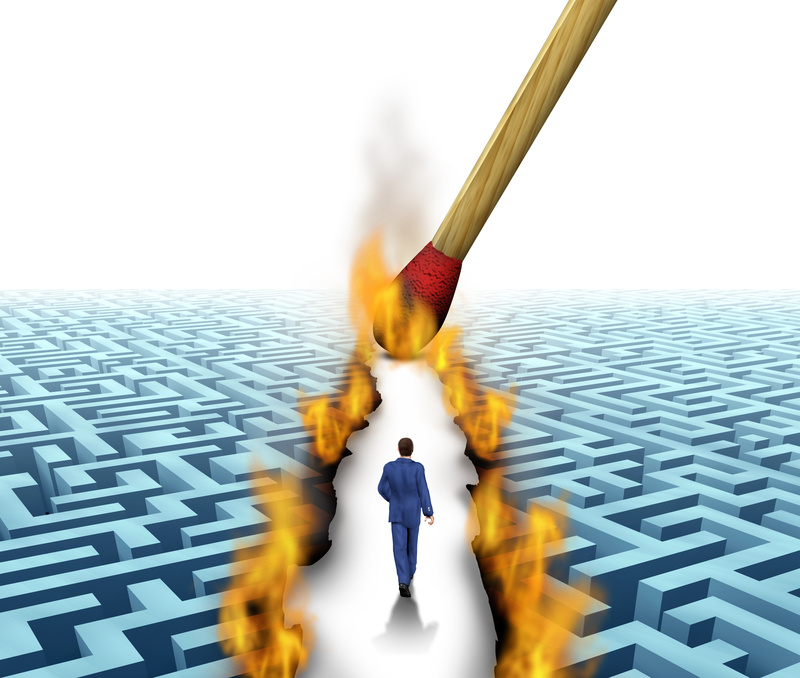 Trailblazers don’t try to conform with the norm, but they operate their gifts the way they want. Many Christian Fiction novels are set in the south or a small towns, but all of my work has New York City as it’s backdrop. Why? New York is who I am as an author. I am asphalt not green grass. Now, I could imagine small town living to grab the audience and keep up with the trend, but in my mind every girl living in a small town is named Misty and speaks with a twang, but I know New Yawkers and they’re in my heart, so I write what’s in my heart. I’m blazing my trail. I don’t have time to look at the fire beside me while generating my own. 2. Know what you deserve-You don’t deserve anyone else’s success. Furthermore, you don’t want it either because you have no idea what the price of that success was. You deserve to be successful, but you can’t have the success that God has promised if you’ve got your eyes on someone else’s. Trust in His word and in the plan that he has for each one of us, “For I know the thoughts that I think toward you, saith the Lord, thoughts of peace, and not of evil, to give you an expected end.” (Jer. 29:11) Repeat this verse each time you find yourself eyeing someone else’s success and get happy about what God has for you. 3. Be Consistent. Be Flexible-Consistency mingled with flexibility is what makes a brand or an artist successful. Think of your favorite author or musician who’s been able to span decades. They consistently produced work, but they were flexible enough to grow with their audience. Stop looking at the accolades of authors around you and keep producing good content and just like a diamond buried in the earth someone will discover you. 4. Get Real-Some authors have teams of people promoting them, some authors have publicists that they work with on a regular basis. If you don’t have any that then be real with yourself–there are two things you can do. Either you save some duckets so that you can afford a team or publicist or pat yourself on the back for your efforts and keep going until you reach your destination. Get real about how long it takes to become a success. Rome wasn’t built in a day neither was Oprah, or J.K. Rowling. Bottom line stop trying to walk in other people’s shoes they’re not your size. Walk in the blessings and the calling that God has placed upon you. Own it each day and celebrate you each day. What advice do have for authors who committing writer suicide by comparing themselves to others? How do you start a great and monumental scene? Do you open with dialogue? Do you start while the pressure is on your hero or heroine has to make a decision right away? Do you set the scene? Or do you mark the scene with some great philosophical quandary? There isn’t a wrong answer, however there is one opening that is growing less and less popular–setting the scene. In the age of instant oatmeal (which I am a fan of), instant mashed potatoes, and instant celebrities. Most people want everything to happen instantly including some faithful bibliophiles who are like ‘chuck the deets give me the meat’. If you’re anything like me what you really long to do is open a scene and spend at least a paragraph describing the way that the light refracted off of the river and illuminated the contour and freckles of your protagonist. But, “ain’t nobody got time for that.” So, is this a complaining ranting post where I talk about how much I long for the golden days of literature. No way, it is important to do all things without murmuring and complaining and when possible I find a solution. Which I believe I have. Both examples provide the reader with enough details to visualize what’s going on without getting bogged down. That’s our job now as modern writers give the people a show-set a scene, but don’t drag them through the mud just to see it. Sound difficult? It may be, actually it is. But try this to get you started, grab the closest magazine to you or hit the local market and pick up a magazine, turn to the feature article and check out how the author expertly weaves in details that set the scene and engage you as a reader. Nothing lost and everything gained. Like what you see? After you finish reading try creating your own grand opening? How do you set a scene? 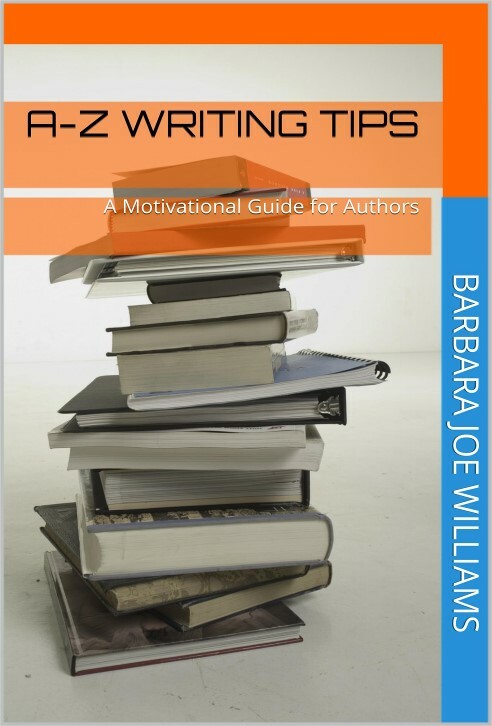 Our #FridayFind comes from author and publisher, Barbara Joe Williams, who is no stranger to The Neophyte Author. If you want to get your writing rolling look no further, Barbara has the answer for you. Non-Fiction/Self-Help. I wrote this book to help aspiring as well as published authors with their writing goals. Hopefully, this book will motivate them to write and keep writing. you don’t have to get your manuscript perfect, you just have to get it done. There’s nothing like A-Z Writing Tips to cure writer’s block. Buy it! Use it!” Felicia S.W. Thomas, author of 80 Proof Lives. you from getting your writing done. Forgive Us This Day (2004). Her novel, Forgive Us This Day (Anniversary Edition), was recently reviewed in USA Today by Michelle Monkou. It was a recommended a “must-read” romance. I recently embarked on very old school journey with my writing. I actually wrote. I didn’t type and save, and then back up my most recent piece of writing. I wrote it longhand before typing it. I know that sounds totally crazy and it was. It was laborious. Just when I starting patting myself on the back for having finished writing my first novella I realized I had to type the thing. However, there was a huge benefit to this process. This week for #WriterWednesday I’m encouraging you to go old school. Before you shoot this idea down let’s work this out. Time consuming–It seems like double duty, but it’s not. It’s going to cut back on your revision/editing time or at the least change the process. I’m used to writing on the computer not with pen and paper. It’s always good to challenge yourself as a writer and try something different. You never know when you’ll need to do this. 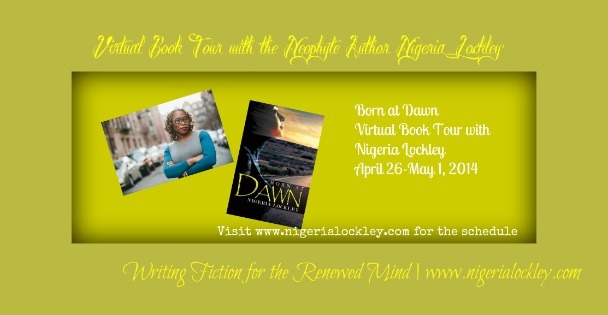 My first novel, Born at Dawn was written long hand. The second novel I wrote, Seasoned with Grace was all on the computer, but the demands of the protagonist and narrator of Tempted to Touch would not allow me to just sit and type, but something happened in all that hassle. During the process of taking my story from crazy scribbled notes to a beautifully typed manuscript I had to look at my words again. I had to look at the sentences again. I had to look at the characters again. I was able to spot overused words, poor word choice, and lack of detail and/or too much detail. I had the chance to break up sentences and play with their structure and I had a chance to spot inconsistencies. Does that mean I won’t have to edit? Of course not, but it does mean that the process looks different because I examined the story more closely. 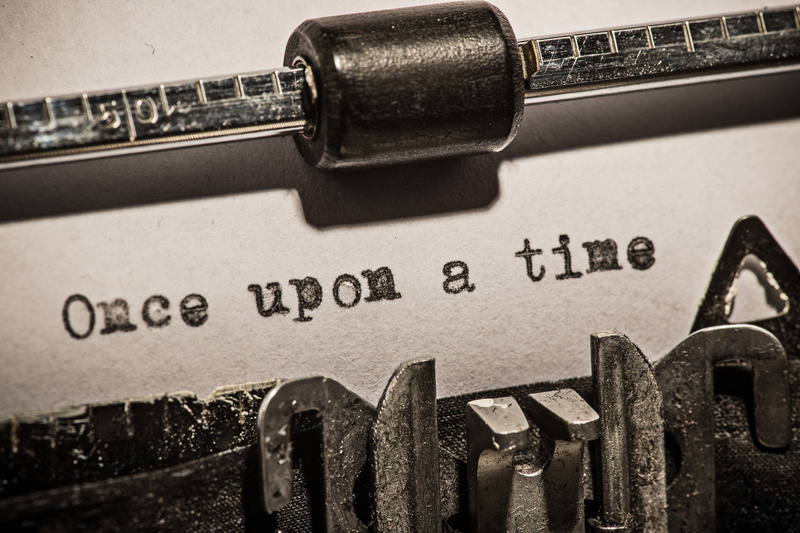 Challenge: I dare you to go old school today, whether it be a paragraph, a page, or a thousand words. 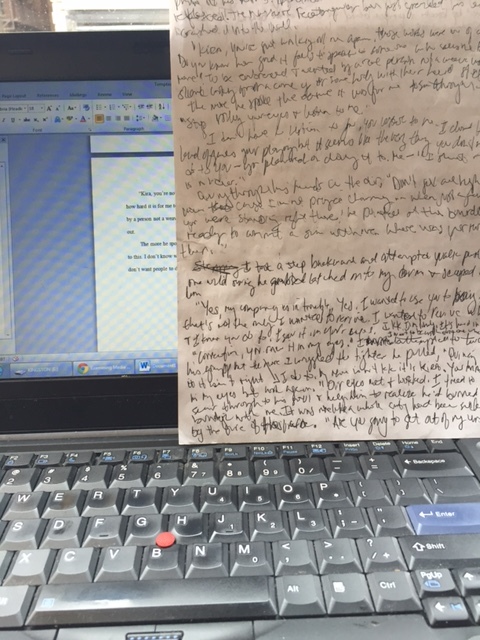 Write something longhand before typing it and watch the transformation take place. Share your transformation in the comments or just your experience in the comments. So, a popular question that I often receive in relation to my illustrious writing career (don’t roll your eyes, I’m calling those things that are not as though they were) is, “How do you find the time to write?”. I get this question from aspiring authors and non-authors as well who just wish they could get more out of their day. For #WriterWednesday I’m giving away the answer. I’m a thief. I don’t make time I steal time. If I was waiting for an opportune time to begin writing with a full-time job, husband, and two kids, guess what? I’d still be waiting. I wouldn’t have even written this post. What you’re reading was written on stolen time. Today I’m scheduled for jury duty and although I wasn’t supposed to arrive here until 10 am after dropping off the my sweet baby Boogie at the babysitter at her usual time I headed here. I sipped some tea and whipped out my laptop to get this post done and I’ll be moving on to my novella in a few minutes. Wherever I find pockets of time not being used or misappropriated I steal that time and give it to my writing. For example, my commute to work consists of a half an hour train ride there and an hour train ride back. During that time I write. If the train is too crowded for me to take out my laptop I type on my phone and email what I’ve written to myself. Trip to the laundry–I write. Today, I challenge you to record everything that you do today and how much time you spend doing it. Identify the moments where there are holes or chunks of idle time (watching television and trolling Facebook count as idle time–don’t tell me the entire two hours you spent on Facebook was for social media promotions). Once you’ve identified those areas pull a Robin Hood. Steal that time and give it to your writing. Are there moments throughout your day that you can identify immediately as excellent marks to steal time from? When are they and what will you be working on during those times? Can’t wait to hear how much writing you get done after stealing some time. Have you been wondering how to make your blog work for you instead of you working for your blog? Have you racked your brain trying to figure out why your readers barely engage with the content you post? 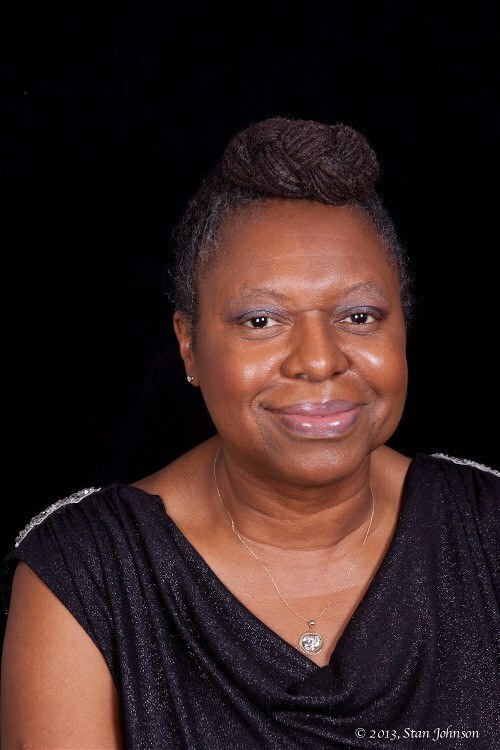 Well, today on #WriterWednesday the 2014 winner of the Very Inspiring Blogger Award, Faith Simone of All Things Written to Inspire and Encourage is stopping by The Neophyte Author to steer us all in the write direction. Blogging is not for the faint of heart, but it doesn’t have to be super difficult either. At its root, blogging is intended for two things: sharing a person’s personal thoughts on a variety of subjects and connecting with others. That’s it in a nut shell. But we all know that many folks use their blogs as a way to sell products, make a living by working with sponsors and/or building a platform for future endeavors. 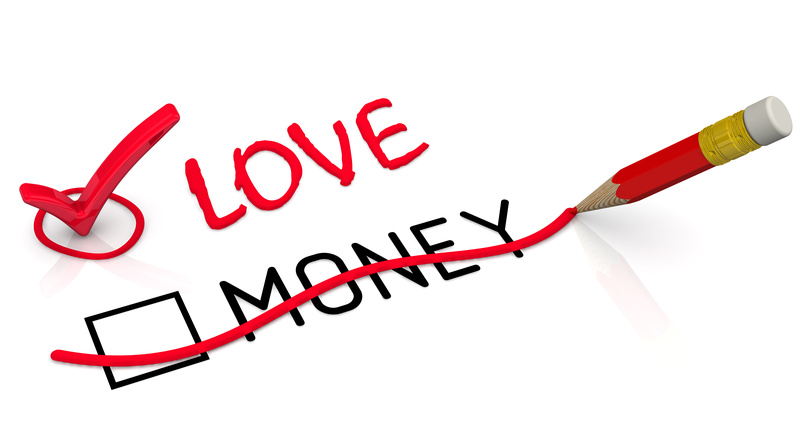 So whether your goal is to make connections, money or both, you need a steady flow of traffic from online visitors. Here are a few ways to help make that happen. BE CONSISTENT-Nothing alienates a following more than posting inconsistently. Whether you post daily, weekly, bi-weekly or monthly do it regularly. The best practice is to clearly state your posting habits on your blog near your subscribe button. But keep in mind that you should under promise and over deliver. PRODUCE GREAT CONTENT– They say knowledge is power, and blogging about subjects you’re an expert in is a great way to build, and keep, a solid audience. Invest time in researching and sharing relevant content on a regular basis. You should also focus on being entertaining. Plenty of blogs generate a lot of traffic simply because the blogger shares their personal life on a regular basis. If you have an engaging personality and you’re able to translate that with pictures and writing, you have all you need to keep people coming back for more! TAG YOUR POSTS CORRECTLY– Neglecting to take advantage of search engine optimization (SEO) is something many bloggers overlook. Tagging your posts with key words consistently is a great way to put you at the top of Google and other search engines. For example, if you blog about easy quick food recipes, it’s probably a good idea to tag all your posts with the words ‘food’ and ‘recipes’. Then add specifics like ‘easy’, ‘enchiladas’, ‘30 minute meals’, etc. Do this often enough and your blog will be one of the first to populate in specific searches. When I first started blogging I Googled my name and I wasn’t even on the top few pages of the results. Then I started tagging every single post with ‘Faith Simone’. Now, my blog posts span the first couple of pages for that search. It works, try it! COMMENTS– One sure way to increase traffic and comments is to comment on other blogs. Especially blogs that cover similar information to yours. Bloggers love comments like a mother loves her kids. I’m serious. Bloggers spend time and effort producing content for their blogs and usually don’t get a whole lot of feedback for it. A thoughtful comment makes a blogger’s heart sing. It means that not only is someone actually reading their content, but they took time to respond intelligently to it. Do this often enough and you’re on your way to building a sincere relationship with the blogger whose posts you comment on and with their loyal followers. Keep in mind that comments like ‘Great post!’ won’t fly. Be sincere and only comment when you have something meaningful to contribute. SHARING– I was late to the party on this one, but I’m so glad that I recently came to understand the gift of sharing content. Taking just a minute to share a great post by a fellow blogger on Twitter or Facebook is an awesome way to build a relationship with fellow bloggers. Plus, it gives your social media followers access to more great content. It’s also reciprocal. Once you share a blogger’s content they’re more likely to share yours. You’re both helping each other reach new audiences. Sharing is indeed caring. So that’s it folks: consistence, good content, effective tagging, sincere comments and social media sharing. Put those elements into practice and watch your visitor stats grow! Faith Simone is a poet, playwright and novelist. She is also an active blogger, sharing her personal thoughts, book reviews and tips for writers on her website FaithSimone.com. 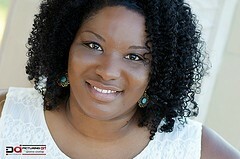 Simone is passionate about using her gift of writing as a tool to help promote humanity, understanding and compassion. To celebrate the release of her debut novel When the Real Thing Comes Along Faith is giving away Three (3) Amazon Gift Cards! Click on here to enter! This week Writer’s Wednesday comes from the Neophyte Author and is inspired by V-Day. Writing is a craft that takes dedication and when you mix in social media, marketing, and trying to balance all the other stuff in your life sometimes the love gets lost. This week I not only recommend but I challenge you to find the love. Look through your old journals and writing notebooks. Go sit in the park (if it isn’t freezing where you are) or take a trip to the art museum and let the paintings become the inspiration for a scene or poem. Find the love of your craft. Stop working. Stop grinding. Just love the words, honor that tap-tap sound of the keyboard, and dogeared page of your journal. Read the words aloud and love them. Find the love and after you find it share a line or two from the work that you currently in love with.